I’m sitting in a restaurant in Cincinnati recently, surrounded by televisions with the sound turned down. The bartender approaches, and asks if I’d like to hear the TV. I say “sure” expecting him to saunter over to a monitor, and turn up the volume. 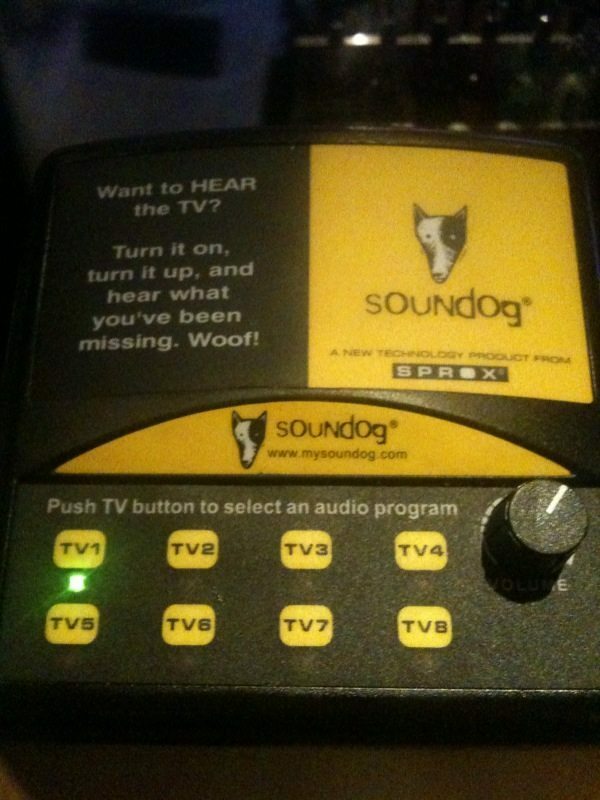 Instead, he reaches under the bar, and pulls out a Soundog unit. The Soundog is an ingenious device – a small, personal speaker with switching capabilities, enabling me to listen to whichever game I prefer without bothering nearby patrons. Happily using this handy new technology, I was struck by its utter usefulness and the fact that it neatly addressed a common (although perhaps not world-changing) problem. Why can’t your social media program do that? The difference between “selling” and “helping” is only two letters, but the gap is in reality, much larger. The best – and most effective – social media programs aren’t based on promotions and message distribution. Instead, they revolve around removing friction and uncertainty for potential or current customers. It’s about marketing sideways, not marketing head-on. Nationwide Insurance has a terrific iPhone app that allows you to document a vehicle crash in real-time, including photos, collection of the other drivers’ insurance information, and other key details. They aren’t trying to sell you more insurance – at least not at that point – they are being helpful. Geek Squad makes its living providing technology configuration and repair services, via BestBuy stores everywhere. But yet Geek Squad has a YouTube channel that includes hundreds of videos showing people how to do it themselves. They aren’t trying to sell you services – at least not at that point – they are being helpful. Geek Squad Founder Robert Stephens was asked about the contradiction of a services company providing helpful videos at a conference where I spoke. He said that the reality is, their best customers are those that can do some of it themselves. If they can assist them initially, they’ll appreciate it and turn to the when they need more help. That’s understanding the difference between selling and helping. That’s understanding that social media success is a long putt, not a tap-in. That’s measuring results on an annual basis, not a weekly basis. That’s what you should be doing. Start today by conducting a Helpfulness Audit for your company. Talk to your customer service department, or survey your customers and document the top 10 problems that customers have with your product or service. Then, strategize ways you could make those problems disappear by providing better content (as with Geek Squad), faster response (as with Nationwide), or better access to help (as many companies are doing by launching online customer support communities using Get Satisfaction or other systems).